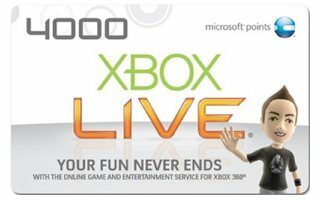 Microsoft's Xbox Live point system has been widely criticized by users for being confusing and difficult to convert into real prices. They allow users to purchase content on the Xbox 360, Windows Phone and Zune Marketplace without a credit card. However, besides making things seem a bit cheaper than they actually are (80 Microsoft Points converts to $1), points are only sold in 'blocks' and users often have to purchase more than they actually require at a particular time. This means they'll have left over points after their purchase but most likely not enough to buy something else. The company begun moving away from this system recently by allowing certain purchases to be made with actual cash, including Xbox 360 ‘Games On Demand’ and Windows Phone mobile apps. Now, according to a report by Inside Mobile Apps, they plan to scrap the virtual currency altogether before the end of the year. Transactions will instead be based on the local region of Xbox Live accounts, with real money used to buy content. The change will bring Microsoft's various marketplaces in line with competitors such as Apple's App Store and Sony's PlayStation Network, both of which use real currency. This will also end the inconsistent use of Microsoft Points as the company prepares to release its next-generation operating system. Windows 8 will include Xbox Live integration as well as its own Windows Store for app and game purchases, which Microsoft had previously said would be done using actual cash. The company responded to the report saying it "doesn't comment on rumours or speculation."